1) Yes, the LEDs can be relocated to any place where they will fit inside the controller case. I have seen similar mods where the LEDs were placed in additional locations. 2) You can add more than three LEDs without seeing a dulling effect on the LEDs. The more LEDs the more current that is drawn from the batteries. The LEDs that I have used are 5mm. With smaller 3mm or even surface mount LEDs you could fit a lot more in the case. I've heard of mod where someone used 20 surface mount or smd LEDs. I would recoomend using the 3V source as most LEDs require a higher voltage than 2.4V. The source you will utalize depends on the color you are using and the voltage requirement for the LEDs. 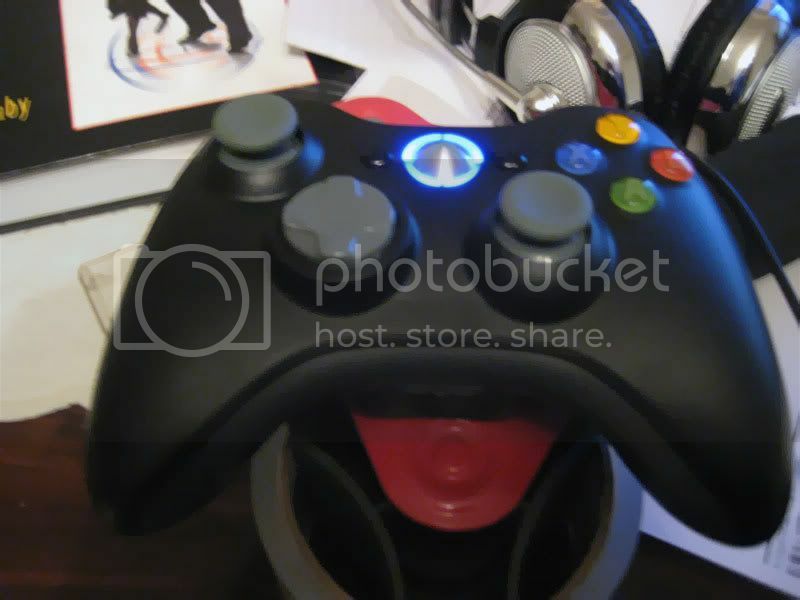 3) I do think it is possible to place LEDs in the back of the controller. A buddy of mine wants to do a mod where the LEDs are hooked up to the rumble motors, placed in the back of the case - so they light up your hands as the rumble motors are triggered. I will be attempting this mod in the near future (When he buys his clear case). If successful I will post a full tutorial on this mod as well. PS Sorry it took so long to reply the site was down a few days. It sounds interesting. Let me have a try. That's neat. I like the green colour. It'd be cool if you could have it change to yellow or red when the battery is low or when the controller vibrates. Maybe fade to another colour depending on the pressure on the analog stick or triggers.